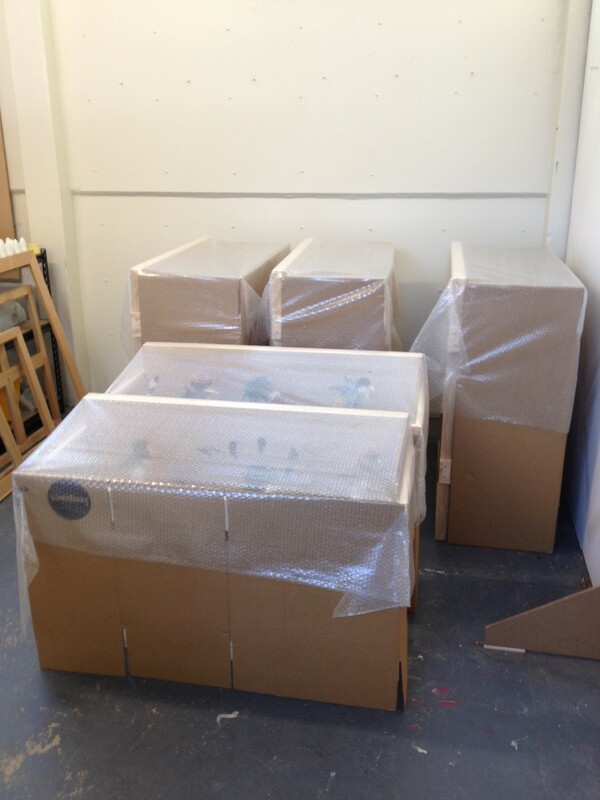 Yesterday the works were delivered to the gallery and we started installing. Saatchi & Saatchi have a brilliant man called Ian working for them who is helping me install the show. His ideas and suggestions have been amazing, and we have placed things in a way that I would never have thought of. Its been an invaluable lesson that every now and then you (the artist), needs to step back and let someone else show you how the works are speaking to them. 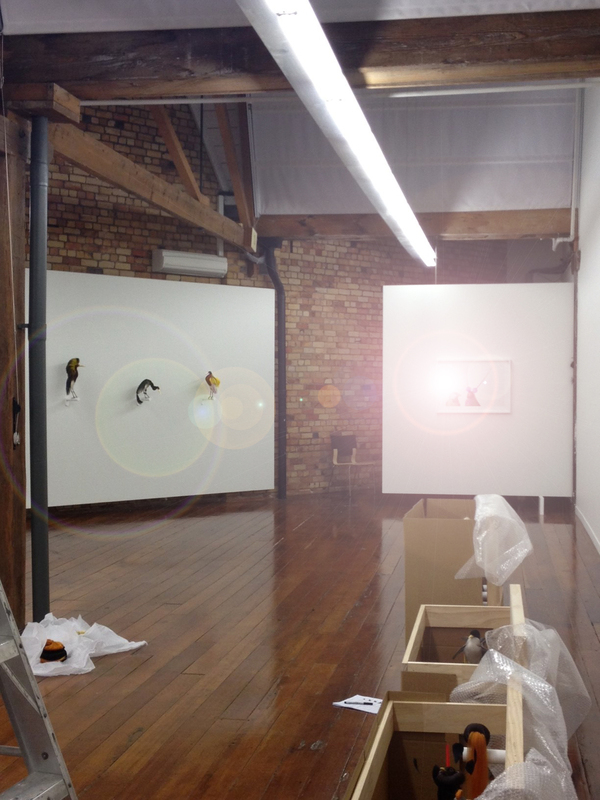 I’m loving what we have done so far, and today we finish the install…ready for the opening on Thursday. This entry was posted in Exhibitions, Saatchi & Saatchi Gallery, Taxidermy and tagged Karley Feaver, Saatchi & Saatchi Gallery, taxidermy. Bookmark the permalink.